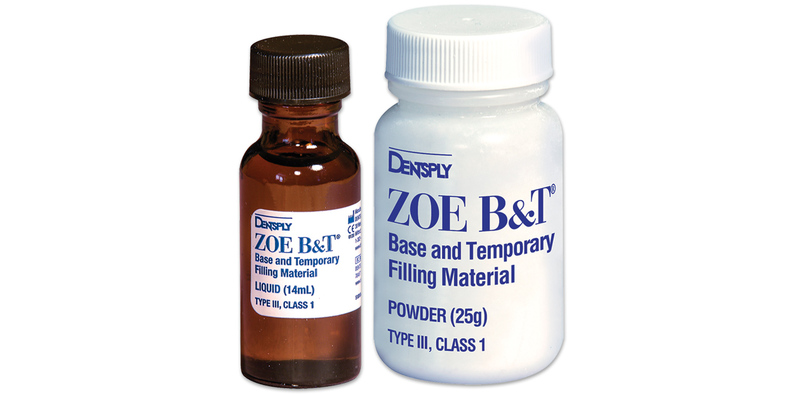 Eugenol-containing base and temporary filling material. May be used as temporary restoration for up to one year. Contains: 1 x 25g powder, 1 x 14ml liquid, liquid dropper.